For the opposite of a traditional crêperie, enjoy crêpes in a more modern and chic interior at Krugen. All the ingredients in the crêpes come directly from Breton! For an affordable crêpe place in Paris, you can get a savory crêpe, sweet crêpe (sugar, chocolat…) and cider for less than 20€/ person at Breizh Café. 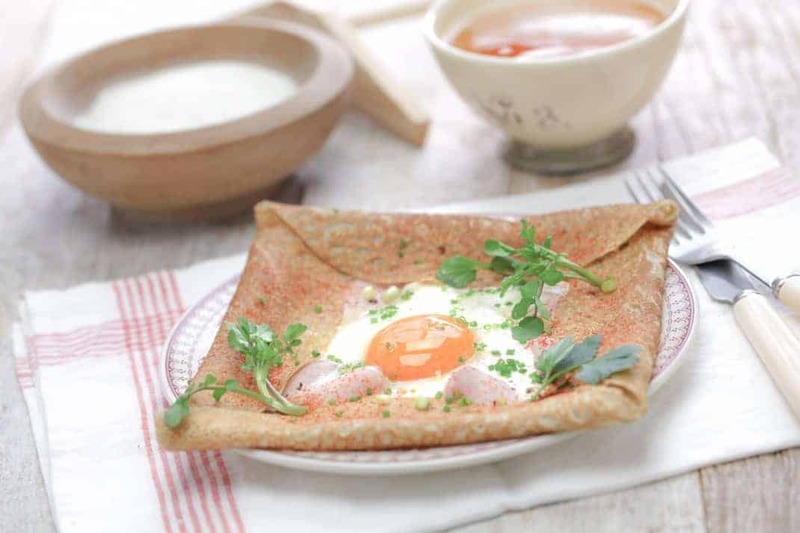 This crêperie includes unusual ingredients in their savory crêpes to spice up the crêpe tradition! In Paris, the real hub for crêperies is in the Montparnasse area. Our favorite in this area is Crêperie Josselin as it will give you a real traditional Breton experience in an old-school restaurant. Their crêpes are also very authentic, and delicious! At GiGi, you will experience a fusion of the traditional and modern in a cozy atmosphere and an extensive menu of sweet and savory crêpes. Additionally, their hot chocolate and mulled wine are excellent!